At a larger scale, cyber attacks prove to be a global threat. With the improvisation of the modern technology, breach of information– from the confidential to the classified, may be compromised if without the implementation of an excellent cyber security measure. This is also true as in the case of your organization. It is important to note that as your data and company information pile up, the threat to the integrity of the same increases as well; thus, the need to implement effective cyber security measures. Implementation of Cyber Security. 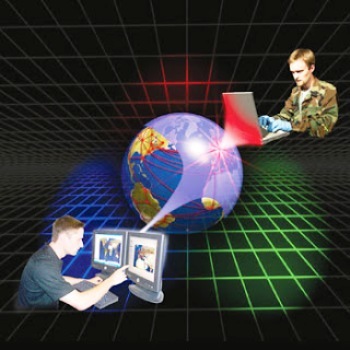 ‘Digital Eye Technologies‘ implement only the best and the latest cyber security means and techniques. Our IT professionals are kept up-to-date as about the options our clients may choose from with regards to their cyber security needs. As your cyber security measures are put in place, clients are able to respond well to any possible threats as against the security of their data and files; along with the unauthorized access to the same. ‘Digital Eye Technologies’ combine expertise, technologies, and experience to undertake the best cyber security measures; as much as these qualifications help us address appropriately any cyber attack. As we commit to nothing less than the best cyber security solutions, we ensure the optimum protection of our clients with our Cyber Security service. If the integrity and protection of your organization is what you need, it’s about time to have an effective Cyber Security implement put in place. Give us a call today and see how we can help you with this need.